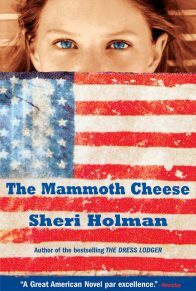 Sheri Holman is the author of A Stolen Tongue, which was translated into thirteen languages; The Dress Lodger, which has sold over 300,000 copies nationally and was named a New York Times Notable Book and one of the New York Public Library’s “Books to Remember”; and The Mammoth Cheese, short-listed for the Orange Prize for Fiction and named a San Francisco Chronicle and Publishers Weekly Book of the Year. 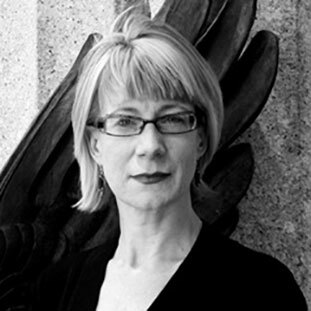 Holman is a founding member and currently serves on the curatorial board of the Moth. 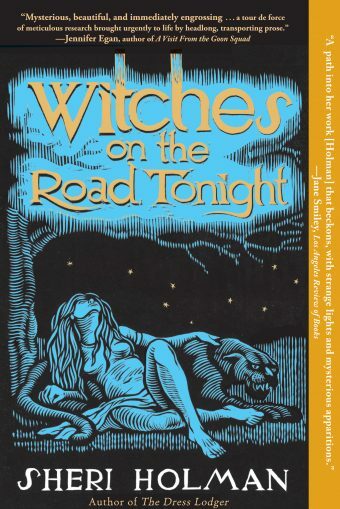 Witches on the Road Tonight, best-selling author Sheri Holman’s most critically acclaimed novel to date, received stellar reviews across the nation, including two-page spreads by Cathleen Schine and Jane Smiley in The New York Review of Books and The Los Angeles Review of Books respectively. A New York Times Editors’ Choice, this brilliant tale exposes the fears and lies that haunt several generations of an Appalachian family, taking readers deep into the backwoods of the Depression-era south and teasing out the dark compulsions and desperate longings that blur the line between love and betrayal. As a child growing up in 1940’s rural Virginia, Eddie Alley’s quiet life is rooted in the rumors of his mother’s witchcraft. 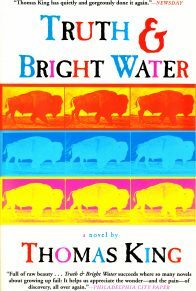 But when he’s visited by a writer and glamorous photographer researching American folklore for the WPA, the spell of his mother’s unorthodox life is violently disrupted, and Eddie is inspired to pursue a future beyond the confines of his dead-end town. He leaves for New York and becomes a television horror-movie presenter beloved for his kitschy comedy. But Eddie cannot escape the guilty secrets of his childhood. When he opens his family’s door to a homeless teenager, the boy’s presence not only awakens something in Eddie, but also in his twelve-year-old daughter, Wallis, who has begun to feel a strange kinship to her notorious grandmother. As the ghost stories of one generation infiltrate the next, Wallis and Eddie grapple with the sins of the past to repair their misguided attempts at loyalty and redemption. But in the move up to Manhattan, in the successive apartments Charles and I shared, everything has been lost or thrown away. Coming to me late in life, Charles has been pitiless in tossing my prehistory, usually while I am off at one of the twice-yearly conventions I attend as if having an affair we both tacitly refuse to discuss. Now everything has been scrapped but the coffin, too big not to be missed, too great a conversation piece even for Charles, a bit of memorabilia that you might send off to a regional horror movie museum or sell to some theme restaurant as the base of a fixin’s bar to defray a small portion of the funeral cost. We’ve been using it as a coffee table, pushed in front of the big picture window that overlooks the Chrysler Building, a view that accounts for three-quarters of the ridiculous price we paid for this apartment. It has held up well over the years, made of wormy chestnut, hand-planed and smooth as a wooden Indian. I used to keep it in the carport between Saturday shows, and you played in it as a girl. Sometimes when we couldn’t find you, your mother and I would look outside and you’d be curled up inside it, asleep, your hand bookmarking the eternally youthful and nosy Nancy Drew, your mouth brushed with cookie crumbs. I have made it as comfortable as possible. It is lined with an old down comforter tucked inside one of Charles’s more elegant duvet covers, a dusky rose shot with gold thread. I have a pillow for my head and a scarlet throw to keep me warm. You might think I’d like to go out in full costume, but camp comes too easily these days. I’m wearing, instead, my most comfortable pajamas, the ones with the pug dogs you bought me for my birthday last year. They are about the only ones my chemo-blistered skin can bear. Before I put them on, I took a shower and washed what’s left of my hair. Maybe it was cowardly to wait to do this until Charles was out of town. His mother, who is only a few years older than I, is ill, too, and poor Charles hasn’t known whom to nurse more dutifully. He refuses to discuss my death, pulling, instead, all sorts of prophylactic voodoo like purchasing cruise tickets for next spring, or placing a down payment on a purebred mastiff puppy, if you can imagine, as if he can mortgage me back to life, keeping me on the ventilator of increasingly onerous financial obligation. I know he will be furious when he gets back from Philadelphia, but maybe he’ll take his mother with him on that cruise through the Cyclades. My only real regret is not seeing you one last time. I left you a message before you went on the air, something light and innocuous, and I hope you’re not too shocked to hear it after you get the news. I want this good-bye to set the tone for all the memories that follow it. When people approach me about my show, they never want to talk about the cut-rate monster movies. Most can barely remember the titles. No, it is the irreverence of the interruption they cherish, the silliness and explosions. I made it my career for decades, but only now do I begin to understand the need to terrify, followed by the even greater need to puncture the fear we’ve called into being. It is a surrender and recovery that feels suspiciously like love. The tea kettle whistles and I reach for my mayapple and burdock—those holistic Manhattan cancer quackeries that always bring me full circle back to the mountain—when I remember I don’t need them anymore and pour myself a whiskey instead. Yet that, too, reminds me of the mountain. I have come a long way from ghost stories and digging roots. Here at the door to the balcony, I can look out over the huddled city, as underdressed for the weather as I on this miserably frigid August night. I don’t like to think the weather has made my decision for me, but at my age, it’s difficult to face inclemency in any form—you can’t help but feel the world has given up, and yourself a bit with it. It has been the coldest, wettest summer on record, hasn’t it? At least that’s what you keep telling us down at your news network where you are always searching out new ways to panic us. Something to add to the wars and the stock market and the Depressions. Your twenty-four-hour cycle has grown more hysterical each year, that creepy crawl across the bottom constantly breaking nonnews. And now, with every inch of the screen filled and moving left to right, with no more hours left in the day, I wouldn’t be surprised if your people weren’t working on a particle gun to beam bad news directly into our dreams, stealing that last refuge where nightmares might still be personal. You’ve given us all sleep impotence, Wallis. But lucky for us, there’s a small blue non-habit-forming pill for that. Don’t think I haven’t noticed who sponsors your broadcast. The fog over Manhattan tonight hangs like the fog in the hollow where I grew up, and maybe that is what has me stitching together memories of my own first horror movie—a grainy, convulsive thing projected onto the bedroom wall of our dogtrot cabin. I was in bed where Tucker’s car had put me. The sun had set but no lamp was yet lit and it was moving toward the shadow darkness that allows terror free play in the minds of suggestible young boys. He sat next to me on the counterpane with his hand-cranked projector steadied on our family Bible and fed the celluloid onto the reel. It’s nearly seventy years ago now, but I remember it like it was yesterday. Every work of art has its own cadence, he said, slowly turning the wheel, working into a rhythm that jerked the movie along with it. Too slow, too fast, until he got it right. He was spinning a copy of Frankenstein, not the Boris Karloff classic, but a thirteen-minute Edison short, shot in 1910, the first horror movie ever made, he told me, though there was nothing so horrific about it—at least not to a modern boy in 1940 who’d been listening to Lights Out on the radio for years. It was clumsy and old-fashioned and the man playing Frankenstein’s monster shambled about like an oversized Christmas elf. And yet I remember being as afraid as I’d ever been that night, sitting in the dark, watching this odd series of pictures twitching to life on my bedroom wall. I had never seen a movie, you see, living where we did, just as I had never ridden in a car until Tucker Hayes, the man who brought the movie, struck me with his. And it was possibility that thrilled and scared me that night. A movie. A car. Wallis, where are you tonight? Forgive an old man. I am afraid. Fear has a dialect for every occasion, doesn’t it, dearest? The anxious lyric patter of fresh love where every sentence has the potential to reveal the unlovable self, the Atlas groan of a parent bent under the weight of his own immaturity; there is the fear of failure and nuclear annihilation and snakes, of getting up in the morning, and then, of course, there is the fear of the dark, which is, as they all are, the fear of Death, which we dare not examine too closely while in life, lest it ruin all the more pleasurable fears of living and loving; for why else fall in love or marry or have children except to trail our fingers along the deliciously dark hallways and blind corners of What Comes Next? What comes next for me? Well, if I can believe the empty bottle of sleeping pills on the kitchen counter, it is that which stands in the center of my living room. I am loyal to the end. Of course I asked my doctor to prescribe your sponsor’s brand. Here we are, another Saturday at midnight, but this time, instead of the slow creak of hinges, the bloodless white hand reaching through a veil of dry ice and the zombielike mug for the camera, it is a climbing up, a lying down, a settling in. I called you, Wallis, and left a message. Something light and funny. Remember that, won’t you? 1. Begin your discussion of this richly imagined novel by looking at the power of the past over present. The story starts on the thirtieth anniversary of a death. Have the characters managed to put that death behind them and come to terms with the path of their lives leading up to and beyond that moment? Have they learned anything in the last thirty years, or have they allowed history to repeat itself? 2. While it is Eddie Alley who takes the central role in this novel, would you consider this to be his story? Or his daughter, Wallis’s? Why? 3. When Jasper comes to live with twelve-year-old Wallis and her parents she becomes “conscious of her place in the Happy Family and how lucky she is supposed to feel to have one” (p. 82). How happy is Wallis’s family in reality? Is the family ever depicted as a happy place in Holman’s world? 4. At the very center of the novel lies the ways in which stories are told and truth is defined. Look at the way in which Eddie filters his childhood through tellings and retellings of folklore and family myths. Discuss also his need to present and frame showings of horror movies on his TV show instead of just letting the movies speak for themselves. Finally, consider the path that has led Wallis to news journalism and discuss the similarities and differences between the newscasts she presents and the stories and movies she has digested growing up. 5. Continuing this line of discussion talk about the different perceptions of truth and reality as conveyed in the novel. Analyze especially the subjectivity of truth in the written word and through the lens of a camera. 6. 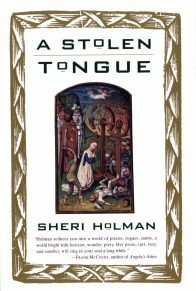 Holman skillfully blends narrative from three different time periods and gives us beautifully rendered characters from widely differing backgrounds. 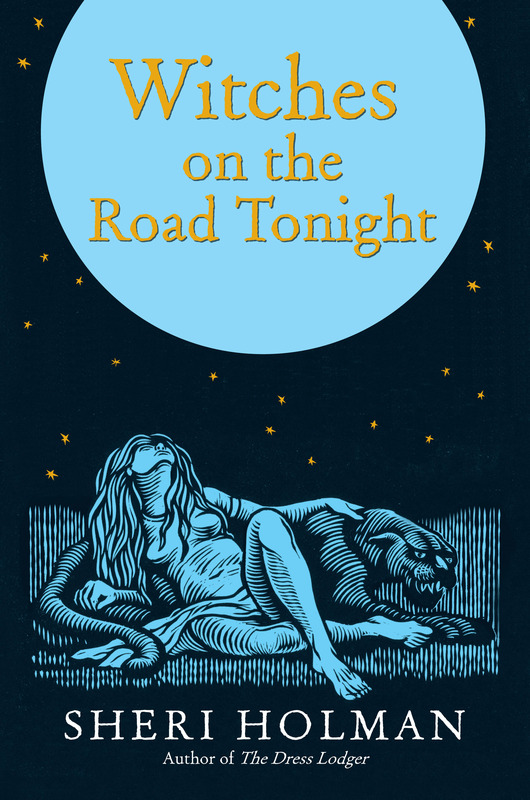 She combines folklore and ghost stories with contemporary domestic drama—how is she able to contain these disparate story strands and keep her novel grounded firmly in reality? 7. Both Tucker Hayes and Jasper act as catalysts coming into Eddie’s family and wreaking havoc at two different periods of his life. Talk about the effects of outside influences coming into the heart of a family and causing change—is change always inevitable? What is it about Tucker that so captivates the young Eddie? Talk about the parallels between Tucker’s arrival in Panther Gap and Jasper’s entry into the Alley family forty years later. 8. 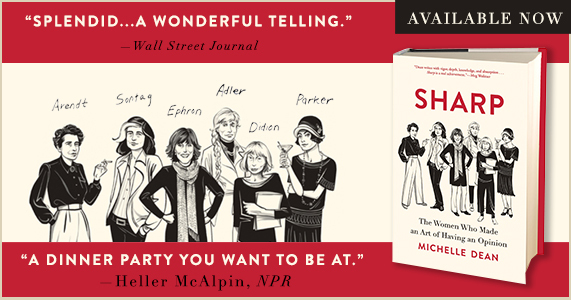 One of the most memorable characters in the novel is the marvelously drawn Cora Alley. Holman seamlessly moves back and forth between Cora’s days within her human skin and her nights as “a vision of blood and sinew, standing raw against the moon” (p. 45). How is she able to suspend disbelief so that we, as readers, do not question the truth of Cora’s character? How far does the rural Virginian setting help maintain the magical mood? Consider the games the local children play and the gossip they spread as well as Tucker’s assignment as a writer. 9. As a boy how much does Eddie know and understand about his mother’s “second self, that hint of nonmother” (p. 21). Why is he moved into action against her this time, trapping her in her human skin? 10. 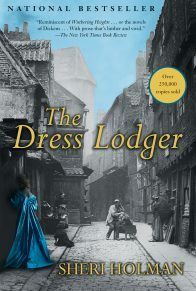 In one of the family stories he spins, Eddie tells of a woman who removes her human skin “for a little rest from the troubles of home” (p. 156). Discuss the ways in which different characters throughout the novel throw off their metaphorical skins. What about Wallis with her need to sleep with men she doesn’t love? Eddie and his alter-ego Captain Casket? And, finally, his acceptance of his homosexuality. Discuss the following quote in the context of the novel as a whole: “Just because you’re bursting full of wants and desires doesn’t mean you get to slip out of your skin whenever you feel like it” (p. 157). 11. The theme of freedom is of great importance in the novel. Discuss how different characters view freedom and to what degree they need it in their lives and relationships. Tucker Hayes, about to leave behind his civilian life and head out to war, is especially aware of what freedom means to him when he thinks “and he, Tucker, a man who might get up in the middle of the night and take a walk in the woods, and let a woman go, will be lost” (p. 44). Talk about his feeling of freedom—and entrapment—when being ridden by Cora Alley and the irony of Cora’s statement, “Now you are free. Now you are free” (p. 171). Consider, too, what is given up by other characters to achieve freedom. 12. What do you think happens to Tucker in the end? Would you have preferred to know for sure? 13. What role does Sonia Blakeman, the glamorous photographer, play in the novel? Holman reveals very little about her past, about why she has become the young woman she is—why do you think this is? What are your feelings for Sonia? How did you feel when she chose to leave Tucker behind? Does she make this decision from a position of strength, or from the fear of commitment? Does she strike you as a strong female character or do you see her as scared, and perhaps damaged? Do you imagine that the grown up, successful Sonia—the one signing copies of her book at the Met—is happy? 14. “She could never have both at once, those two things she needed equally—closeness and distance. Sometimes love demanded one, sometimes the other. No matter what, there was loss” (p. 204). While this quote describes Sonia’s needs it could apply to other characters too—which ones and why? Love is presented constantly as a challenge in this novel, as a painful burden, something to be suffered. Only twelve-year-old Wallis thinks “We have kissed each other and now we are in love” (p. 126). Find examples of the ways in which different characters embrace the difficulty of love. 15. “Only now do I begin to understand the need to terrify, followed by the even greater need to puncture the fear we’ve called into being” (p. 3). Using this quote as a springboard, analyze the central theme of fear in the novel and our human need to feel—if not the fear itself—but the relief that comes after it has gone away. 16. The 1910 Edison movie Frankenstein reappears throughout the novel as a leit-motif, underlining the importance of certain events: Tucker shows the movie to a young Eddie, who shows the movie to Jasper in the barn—and Wallis catches the end of it; Eddie runs the movie as the final feature in his horror-movie TV show. Discuss the movie’s plot and how it relates to and mirrors the events in the novel. 17. Wallis and Eddie seem to have spent Wallis’s entire life trying to figure out their relationship. Talk about her life with her father pre-Jasper when she is the only child of local celebrity, Captain Casket. How does her relationship with her father change during Jasper’s stay with them? And after Jasper’s death? Try to fill in the missing years from Wallis, aged twelve, to a college-aged Wallis and imagine her feelings toward her father and the secret they hold together. “This is the real ghost story, Wallis. The lonely horror at never knowing if what we put out there for each other will be understood. Or recognized. Or even heard” (p. 120). What does Eddie mean by this? Is he referring only to himself and Wallis? 18. As a child Wallis clearly sees her father as Eddie Alley, “a middle-aged weatherman in a bad costume. He’s a dad, for chrissakes” (p. 90). Jasper sees him as Captain Casket: He says what we’re all thinking. Where does Eddie end and Captain Casket begin, or have the lines blurred over the years? Does Eddie’s “alter ego” give him license to behave the way he does toward his wife and daughter? 19. What do you think Eddie was hoping for when he married Ann? Was it a matter of leaving his past behind, or was there more? Talk about the parallels between Ann “adopting” Eddie at the TV station, and Eddie adopting Jasper. Eddie and Ann’s marriage has reached stagnation but only Jasper’s arrival causes change. Why are they willing to continue in their marriage—are they even aware that they aren’t happy? Look at attitudes toward marriage in general in the novel. Would you consider it a rather bleak picture? 20. How active or passive a role does Eddie play in the destruction of both Jasper and his own family? What does he intend to set in motion when he takes Wallis and Jasper down to the railroad tracks? Does his plan succeed? What about in the barn? 21. The young Wallis is jealous of the attention that her father shows toward Jasper, culminating—in her eyes—in his showing of the old Edison movie that she had found. At what point does she realize that she is out of her league in fighting for the affection of both her father and Jasper? 22. Talk about your reaction to Eddie’s actions—as a father—when he sends Wallis and Jasper off on their bike ride together? Wallis has grown up in a few days moving from carving hearts and initials to thinking, “You are not kissing me . . . You are kissing the man who sent you out here to kiss me. You are doing as he asked and you are punishing him as you do it . . . If you can’t have him and you can’t live on the streets, I am all that is left” (p. 253). Trace the arc of Wallis and Jasper’s betrayal at the hands of Eddie. Could the tragedy of Jasper’s death have been avoided? 23. Take a look at some of the other father figures in the novel and the effects they have on their children. 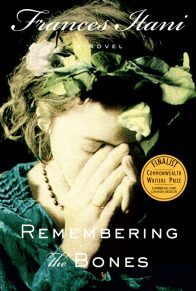 Consider Tucker’s father, his spirit and mind broken by war; Eddie who imagines “taking up a gun and pointing it at his (father’s) chest” (p. 192), and Jasper’s father who commits suicide after his wife’s death leaving Jasper alone. 24. Riddled with cancer and exhausted by chemotherapy, Eddie attends lectures in New York City to try to reach an understanding of his life and fast-approaching death. He comes to the conclusion that “We need only for life to teach us the humility with which to give thanks.” What do you think he means by this? How does this belief enable him to take responsibility for his actions? 25. Now in her forties, Wallis has given up the challenge and excitement of overseas assignments in dangerous locations in exchange for family life. Why do you think she chose to do that? How happy is she now with her decision? Discuss Sonia’s quote, “Love is always ruined by settling down” (p. 213) and analyze how far it could apply to Wallis. Would you have liked to see more of Wallis with her husband and young daughter? Is this family life part of the Alley family inheritance that Wallis has claimed? What do you think the future holds for Wallis?